Trellidor Australia is dedicated to providing a full range of cutting edge physical security solutions and deterrents. All Trellidor installations are tailored to meet the unique specifications of each client's premises. The Trellidor team is committed to the continual pursuit of excellence and ensuring that clients receive the highest quality products, professionalism, service and competitive pricing at all times. Trellidor Australia is the Australian manufacturer and market leading provider of expanding trellis doors and physical security solutions. 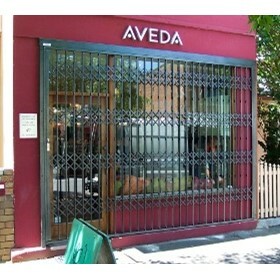 Trellidor expandable grille is the flagship product of Trellidor Australia. Trellidor have over 30 years experience in the security industry and are continually conducting R&D to ensure that Trellidor offer the industry's leading security solutions to their customers. Today, the Trellidor product range is sold in more than 50 countries around the globe. Trellidor is manufactured under stringent International Quality Control Standards in accordance with ISO 9001:2000 procedures and is also Loss Prevention Certification Board Level 1 approved. Trellidor's products are specified by architects, shopfitters, interior designers, builders, facility and maintenance managers, locksmiths and retailers for commercial and residential properties.